Raw Nerve has once again proven itself to be the fastest offshore yacht in Australia by taking out line honours for a record fifth time (four in a row) in the Brisbane to Gladstone Race, the longest running mulihull offshore race in the world; skippered by Martyn Riley with designer Stuart Bloomfield as navigator/helmsman. Finishing an hour and a half ahead of Ichi Ban, the monohull race winner and current Sydney to Hobart winner, the 56' catamaran maintained it's offshore racing record, not having been beaten accross the line in it's current configuration. Martyn Riley's Bloomfield 30 Catamaran recently took line honours (first to finish) in the Adelaide to Port Lincoln Race beating the 98' maxi Skandia across the line in the 156nm race. Despite conditions not well suited to catamarans, included many hours of bashing upwind in 20-30 knots followed by square running in light to moderate breeze, the little catamaran crossed the line 12 mins ahead of the big monohull and an fleet of over 80 monohulls and multihulls, after starting 10 mins behind the monohulls. 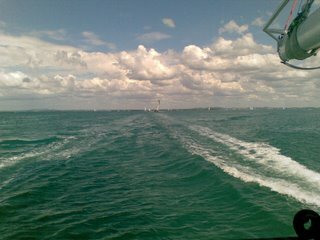 The little catamaran was unbeaten across the line during the Port Lincoln Regatta the following week. 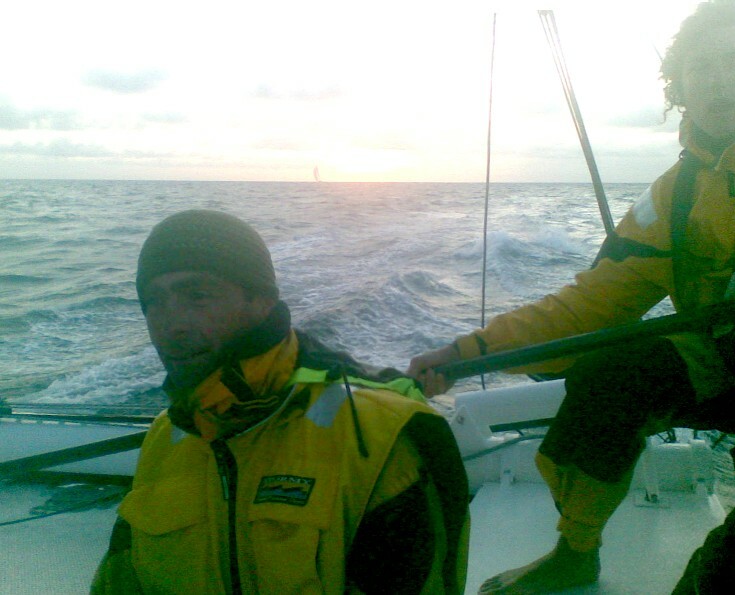 Stuart was navigator/helmsman for the series.